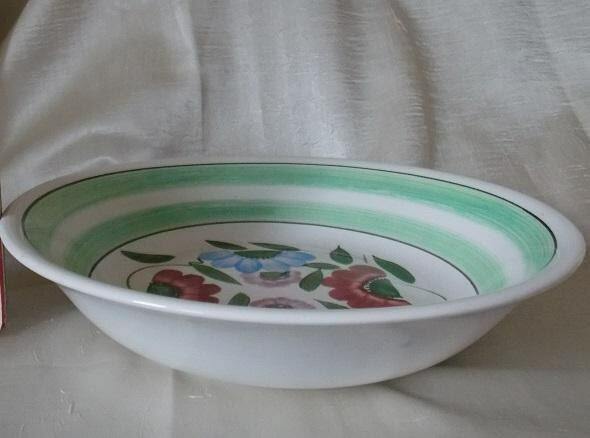 This large vintage bowl is an overall white color. 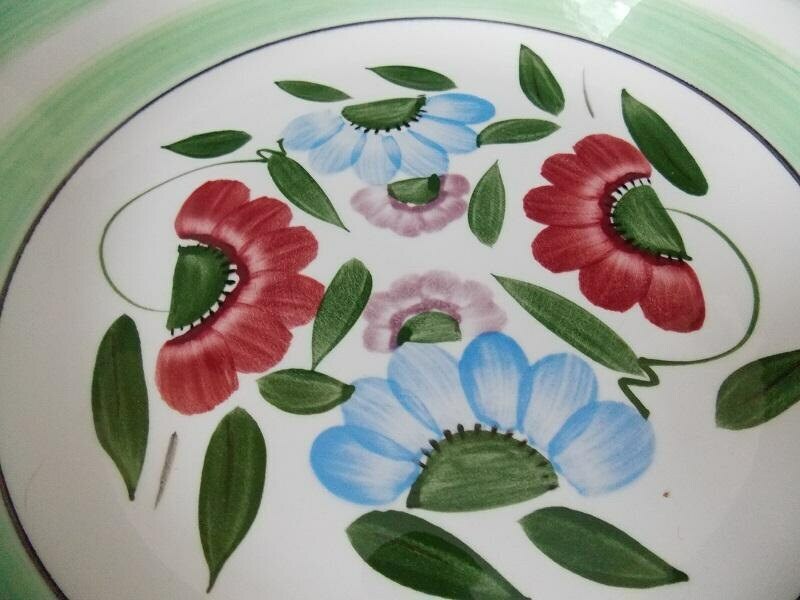 The bottom inside of the bowl has a colorful floral and leaf design. 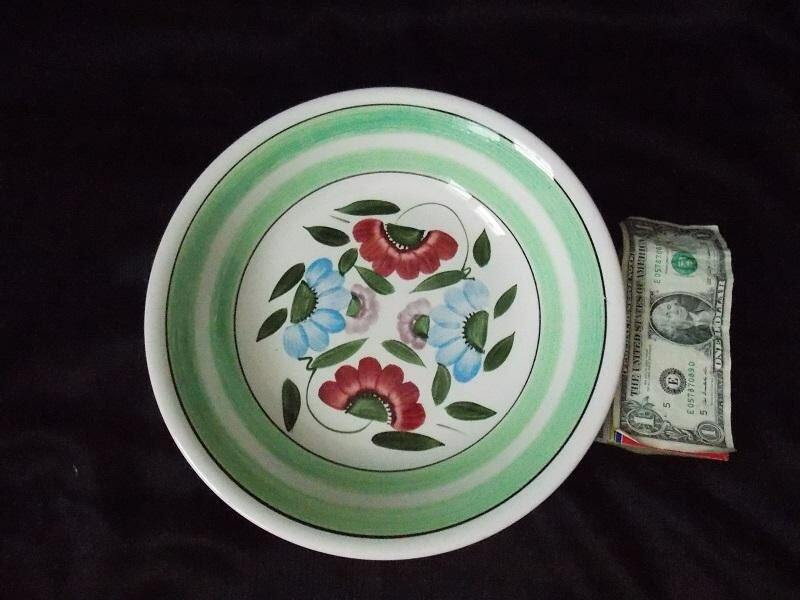 There are green bands circling around the sides of the bowl. 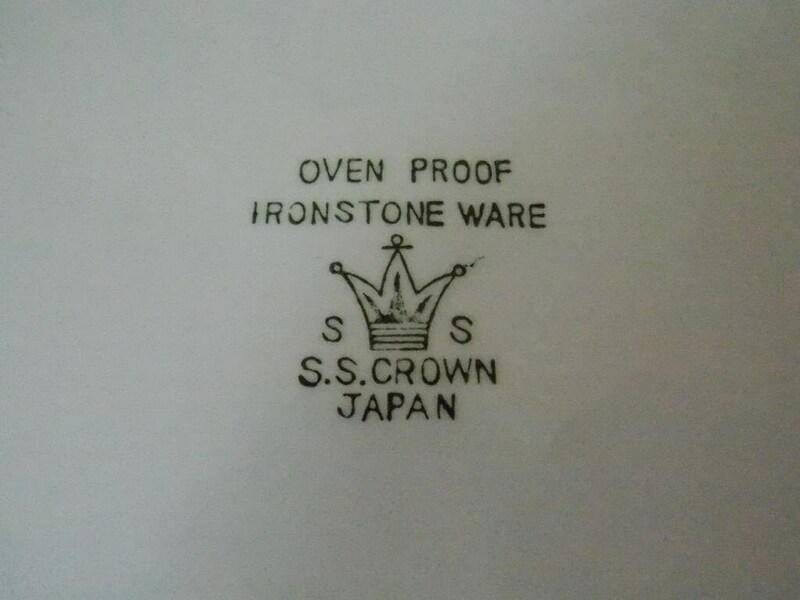 It is marked "Oven Proof/Ironstone ware / S.S. Crown / Japan" with a crown insignia on the bottom. 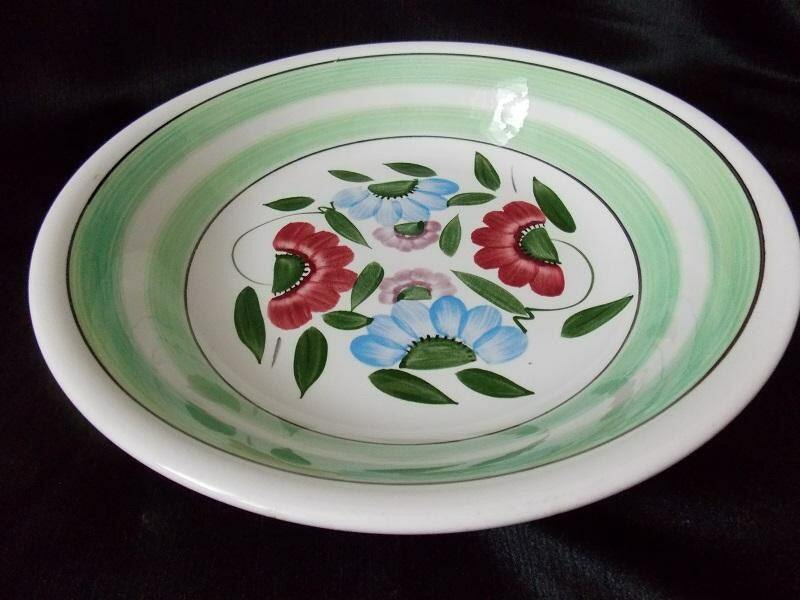 This bowl is in nice vintage condition with no cracks or chips, however, there are some light scratches on the bottom from normal wear which does not take away from the design of the bowl. There is also a green smudge on the outside of the bowl which appears to be a manufacturing flaw.